Lace Top. Similar Pleated Leather Skirt. Similar Pleated Leather Skirt. Just over a year ago, I launched TheCashmereGypsy.com with a very specific idea in my mind; one inspired by all of you. I pictured today’s woman; a versatile gypsy in her world, transforming effortlessly from role to role in her life. She could be a sister, a student, a mother, a businesswoman, a philanthropist, a wife, a designer, a creator. She’s probably many things and will be many, many more as the years pass by. The term ‘gypsy’ made me think of travel and of course I wanted to incorporate my travel into my new blog but more importantly, I wanted a name that reflected what I feel and see in so many of the wonderful women I meet on a daily basis; that we are truly impressive at wearing many hats and being many things at any given moment. If you take a look at the women who raised you and the women you love, I think you’ll agree that we ladies are incredible sources of inspiration. So I launched The Cashmere Gypsy as a gathering place for all my creative ideas infused with heavy doses of dreamy, feminine inspiration and touches of romance. When you visit my site, watch one of my videos, read my newsletter, or visit any of my social media channels I want you to feel inspired, happy, and uplifted. I want my content to be something you look forward to seeing during your day. In the past year, this site has become so much more than just my creative outlet. It’s become a wonderful little meeting spot where we can share our ideas and input, whether it’s here or on the TCG Facebook or Instagram. I’ve shared so much of myself with you and I feel as if I’ve gotten to know many of you as well. I so look forward to reading your comments and interacting with you each and every day; I hope you know how much your support and encouragement means to me. Most of all, I like hearing that I brightened your day or made you laugh… Or that I inspired an outfit you wore or saved you a little time/money by showing you a makeup trick. If I’m having a bad day, it’s 3 AM, I’m exhausted, and I can’t figure out how to fix a tech issue, I’m endlessly energized by your kind comments and sweet words of positivity and the problem doesn’t seem quite so awful anymore. I can have tears rolling down my face and see one of your funny Snapchats you’ve sent to me and my mood feels instantly brightened. I just want to thank you for that. And thank you for each time you’ve clicked over to this blog to browse around, thank you for each time you’ve liked one of my photos on social media, and thank you for being there for me. You are wonderful and your kind of light is the kind we need more of in this world of ours that often seems so dark. So keep being you. To celebrate TCG’s first birthday, Along Came A Box sent me a box full of goodies to open! 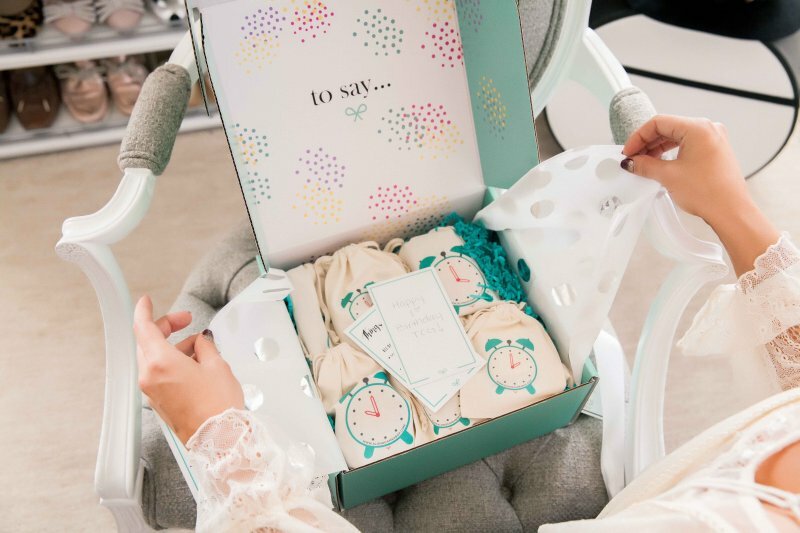 Each gift came in a little drawstring pouch with a clock’s time displayed on the front; the first gift is supposed to be opened at 9 AM with another present being opened each hour throughout the day. 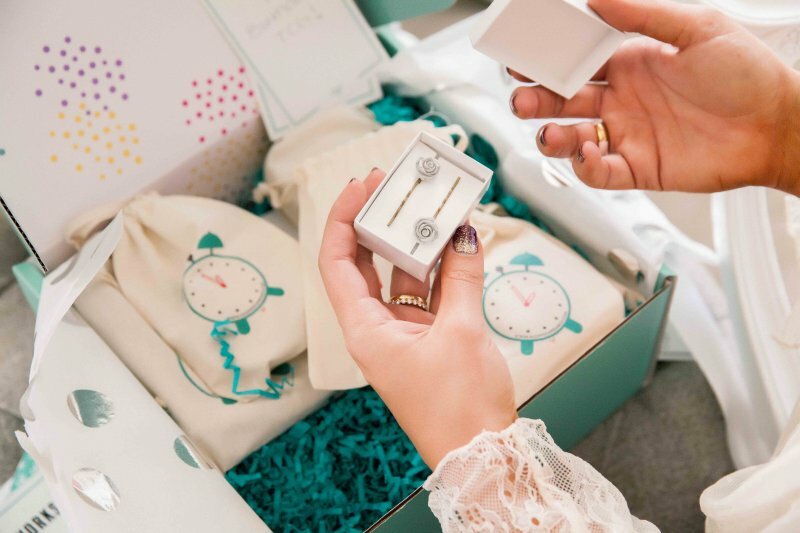 I opened their Oh So Classic Birthday Box – Full Day in the Rose version and it couldn’t be more perfect for me; it was filled with the most adorable little gifts like a pink watercolor ring dish, dainty gold necklace, and rose hair pins. 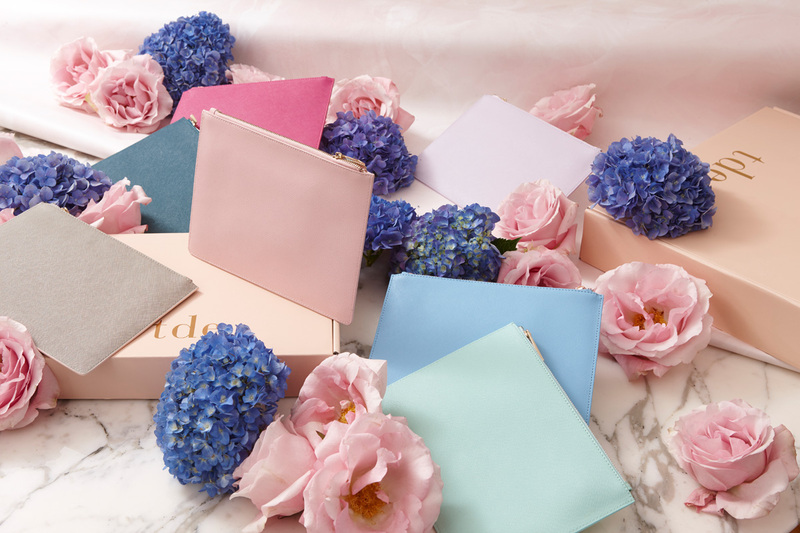 I love the idea of opening little gifts throughout the day and making birthday excitement last all day long. 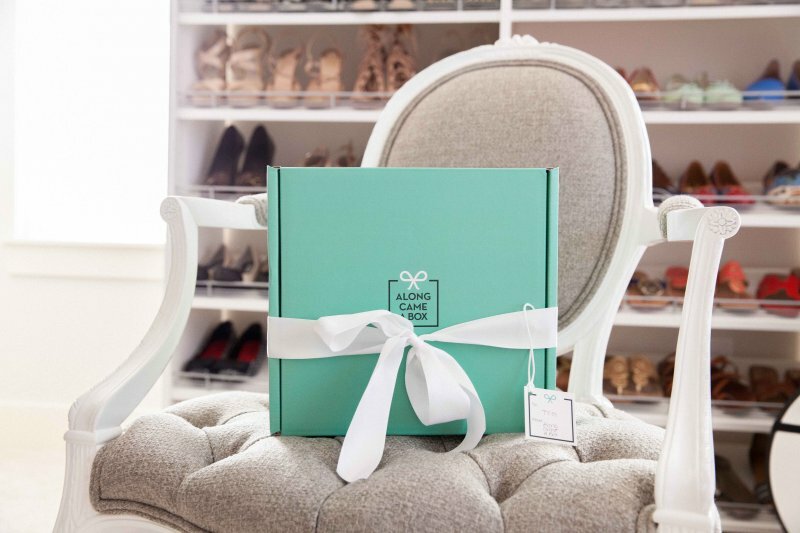 Along Came A Box also offers Christmas and holiday boxes, as well as bridesmaid and maid of honor boxes for weddings. 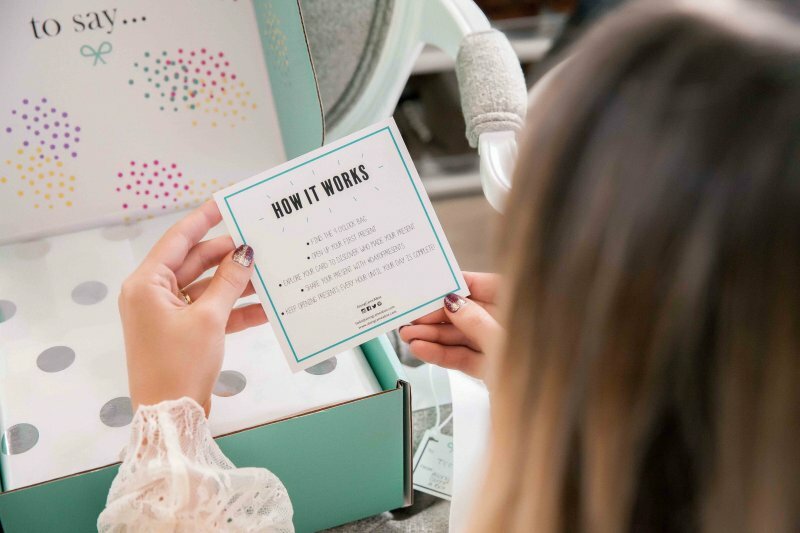 Be sure you’re following me on Instagram @brittanypillard… This Wednesday, you’ll have a chance to win your very own Along Came A Box gift box to give to one of your friends! Happy birthday TCG!!! WOW Brittany, I had no idea your blog was only a year old! You make it look so effortless and wonderful, even from the very start. Your post on 25k made me seriously weepy, because I can relate to so much of your story. I’m so inspired to grow as fast as you have. Thanks for all the tips, tricks, and inspiration. Thank you so much, Roxanne!! I appreciate your kind words so much. I began writing online years ago, but I only launched The Cashmere Gypsy last year!! I’m so happy to hear you can relate and I’m not the only one out there in this crazy, creative business!! I’m going to check out your blog now! !